With the practices of art, science and technology increasingly converging, the concepts of origins and originality raise some of the most pressing questions in contemporary research, including issues of agency and accountability, hybridity and identity, intellectual property and oeuvre, intention and authority. These, and a constellation of related philosophical, economic, aesthetic, legislative and political concerns, are today subject to rapid reconfiguration due to the current pace of technological and theoretical change. Second Nature accordingly brings into a productive, interdisciplinary dialogue scholars working at the intersections of art, science and technology. Contributions explore how technologies of reproduction alter the meaning of concepts such as origin and originality, and how the borders between what we think of as “authentic” and “fake,” “natural” and “artificial,” are under constant negotiation and transformation. Interdisciplinary – and transdisciplinary – research demands rethinking our existing discursive and methodological orthodoxies. 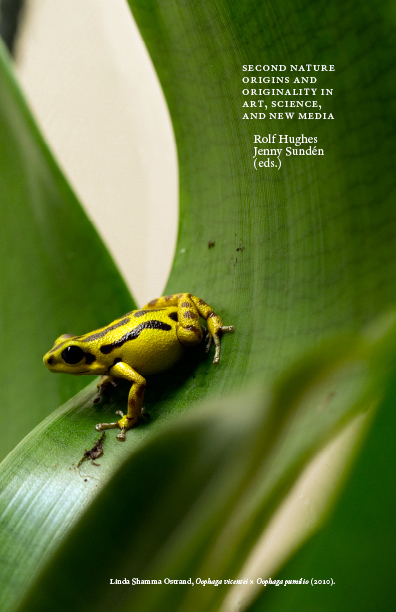 Second Nature arrives as a timely response, illuminating contemporary debates concerning digital and biological reproduction, nature and technology, art and authenticity, criticality and hybridity.